A geologist recently shared a map on social media showing the effects of the Houston flooding caused by Hurricane Harvey. The maps showed that the crust underneath was pushed down by about 2 cm following the hurricane. The earth’s crust is a lot thinner compared to other layers of the earth, but it still averages about 50 km in thickness under continents. In spite this relative thickness of the crust enough water can actually warp its shape. That is exactly what happened after Hurricane Harvey dropped 33 trillion gallons of water in late August and early September. The flooding affected hundreds of thousands of homes and displaced more than 30,000 people across the United States and nearby countries. Several reports state that potential cost of property damage is estimated between $70 and $200 billion. On Monday, Chris Milliner of the Jet Propulsion Laboratory said that the hurricane did not only affect lives and caused damages to property. He tweeted a map showing that the ground within the flooded area in Houston actually sank by about 2 cm, most likely due to the amount of water. The image came from the Nevada Geodetic Laboratory, which showed that the first major hurricane to make landfall in the United States in the last 12 years managed to warp the ground underneath flooded areas. Is that even possible? Too much water can actually be pretty heavy. A gallon of water weighs approximately 8 and a half pounds, which means 33 trillion gallons of water is equivalent to about 275 trillion pounds. In the report, Milliner tried to put things into perspective by stating that 275 trillion pounds may not look like much, but it is 77 percent of the total estimated mass of Mount Everest. Milliner, who is a NASA postdoc fellow and an earthquake scientist, also pointed out that the Houston area sinking by 2 cm was not the only effect by the flooding. He also showed that the earth’s crust surrounding Houston was pushed up by a small amount as well. The scenario was compared to a fist applied to a ball of dough; the center would go down and become flattened, while the surrounding areas will puff up. Since the earth’s crust floats on top of flowing magma, that explanation is certainly possible. Scientists often measure land areas to continuously take note how the earth’s crust behaves. The Himalayas in central Asia is often the subject of such studies as huge amounts of snow can push the mountain range down each year. 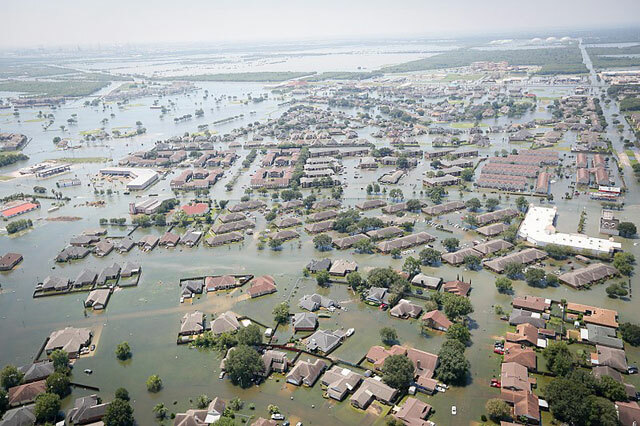 According to The Atlantic, the warped crust in Houston and its surrounding areas may revert back to their previous positions as floodwater rushes back into the sea. However, the exact contour of the land may not return exactly the way it was. Warping of the earth’s crust is deemed dangerous in locations where there are seismic activities. Warping in places where there are volcanoes and fault lines may lead to eruptions and earthquakes.